The story begins, as it often does, on a train. This year for New Years we opted not to choose between staying home and finding the right bar full of strangers. This year we went to Vancouver B.C. There we would meet fellow holiday refugees and celebrate the NewYear. It’s impossible to take just one train to get from Portland to Vancouver. 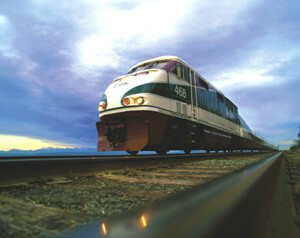 The trip has to be split at Seattle because the Vancouver train leaves early in the morning. We left Portland at 6:15pm on Amtrak Cascades train #508. By 7:00pm as the neon lights of Kalama passed by we were in the bistro car having a drink and watching the rain soaked traffic on I-5. There are worse ways to spend a winter evening. We arrived at Seattle's King Street station on time at 9:45pm. King Street is the dowdy fallen sibling of Portland’s Union Station. While Union Station settled into a decades long nap in the 1960’s, Seattle attempted to keep up with the times by adopting a faux-airport waiting room look for its train station. Drop ceilings and hard plastic seats were crammed into what had been a grand Victorian room. A restoration has been in progress for at least five years but the going has been very slow. The result is an odd mix of once and future grandeur and the tattered remnants of one of the ugliest waiting rooms ever. 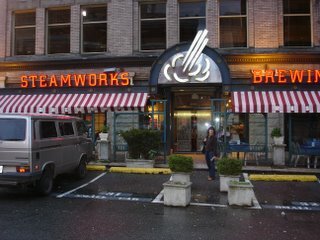 We took a cab to the Andra Hotel, our favorite Seattle stopover. A new venue in an old building, the Andra is a destination in itself, moderne with an E, sleek and very comfortable. 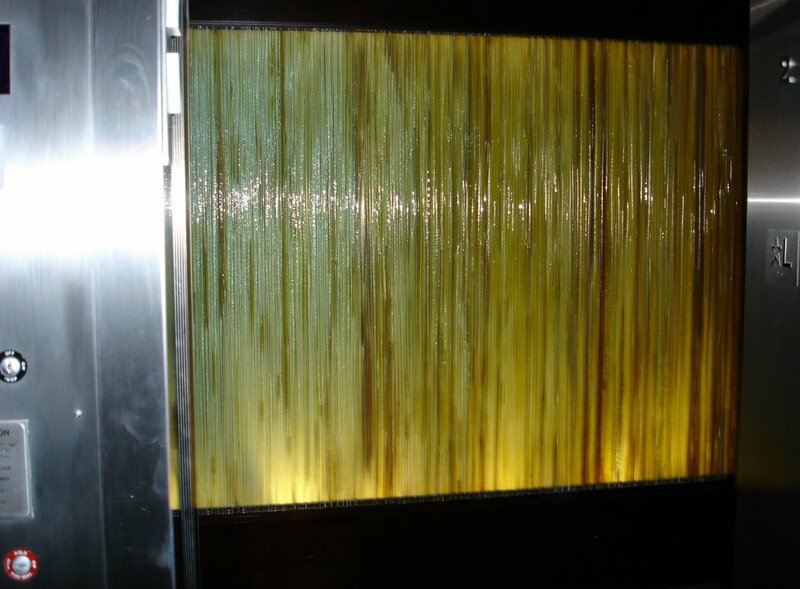 There are less expensive hotels in Seattle but after enduring the holidays and staying just one step ahead of seasonal affectedness disorder, indulgence can be forgiven. As the old transatlantic Cunard Lines advertisements once said, getting there is half the fun. View from the elevator , Seattle's Hotel Andra. The next morning at 6:45 am we were back in the florescent lit waiting room of King Street station waiting to board the northbound to Vancouver. As the train pulled out of the station and into the tunnel under downtown Seattle, I realized that the entire trip, from leaving our house to Union Station, the train ride to Seattle and the hotel stay and departure had occurred in darkness. December nights are very long. Sunrise arrived as the train hugged the coast north of Seattle. Across Puget Sound were the Olympics, their tops covered by fresh snow that gleamed bright in the morning sun, set against black clouds from the next approaching storm. At Everett we passed the aircraft carrier the USS Abraham Lincoln, gray and massive in its homeport. It was on the flight deck of the ship that George W. Bush, dressed in a fighter pilot flight suit, declared mission accomplished in Iraq. After crossing the Snohomish River the tracks veered inland into an area of rolling hills, forests farms and small housing developments. At the small town of Sylvania we were happily surprised to see one of my sisters, her husband and kids waving to us from the side of the tracks! (*Your results may vary). South of Bellingham the tracks hugged the side of the prosaically named Chuckanut Mountain along the edge of Bellingham Bay. The train wound between steep forested slopes and narrow finger-like extensions of the bay, an unexpected landscape that could have been set down from a Scandinavian epic poem. A half-hour later the conductor announced over the intercom that we crossed the border into Canada. 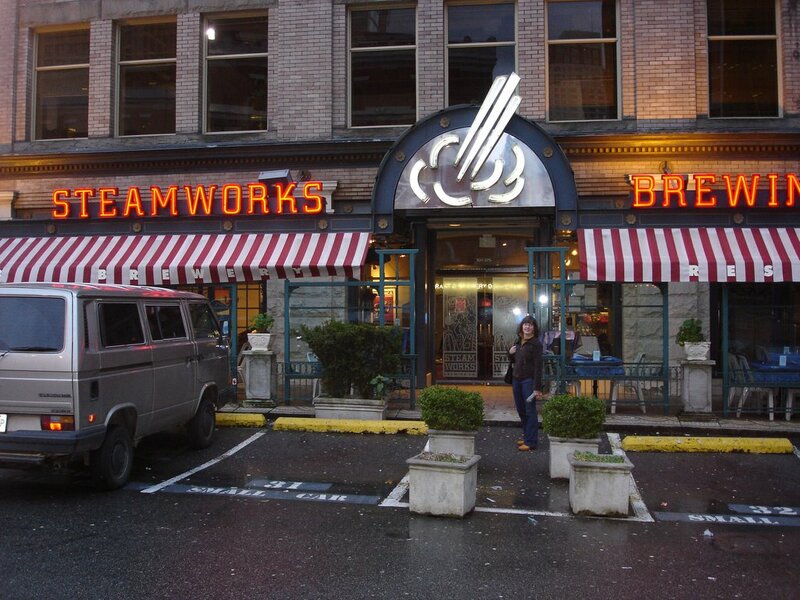 The cars began to rock back and forth and a group of young passengers exited to the bistro car. Simultaneously the quality of the track and the drinking age had lowered. But we were not in Canada, at least officially. We would go through customs when we arrived at Pacific Central station in Vancouver. We were arriving like Lenin, sent across Germany to Russia in a sealed train. For the last hour of the trip we were in sort of a limbo, inside Canada, but not quite. 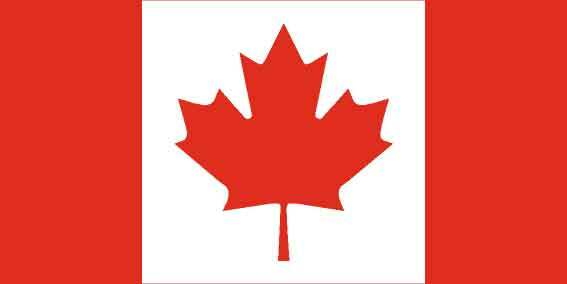 “What do you intend to do while you are in Vancouver?” the Canadian border official asked Jill. I used to subconsciously think it was just trees and mountains north from Seattle, all the way to Alaska. A gleaming city of glass set between mountains and water is always a surprise then. It is as if Oz sprouted from the rainforest like a mushroom. Vancouver strikes me differently than any other foreign city. Usually I immediately notice how different everything is, the language, the customs, buildings, food. As time passes however, a certain sense of universality sets in and I realize for all the differences, people are pretty much the same. In Vancouver the process runs in the opposite direction. Were we even in another country? There is something anti-climatic about going through customs only to find McDonalds, Starbucks, Dennys and Safeway on the other side. On television there was CNN, MTV and local news from Seattle. And it was raining, just like Portland. But there are subtle differences and they become more apparent by the hour. The effect is cumulative. It starts with better-looking money and hockey playing in every bar. The city seems no more British than Seattle does; and yet there are relics of British imperial glory scattered about, like the Edward VII dedication plaque near the Vancouver Art Gallery. 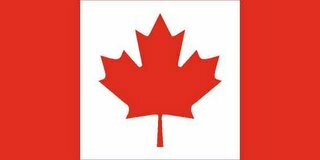 French was written everywhere, but not spoken anywhere (except on certain radio and television stations where Vancouver is pronounced “Vahnkoovair.” The accent is on the third syllable). Newspapers were filled with tales of a money and influence scandal from ruling Liberal Party, while a minister from the Conservative Partly proposed tax credits for users of transit because transit helped cut down on congestion and greenhouse gasses. We were not in Kansas anymore. 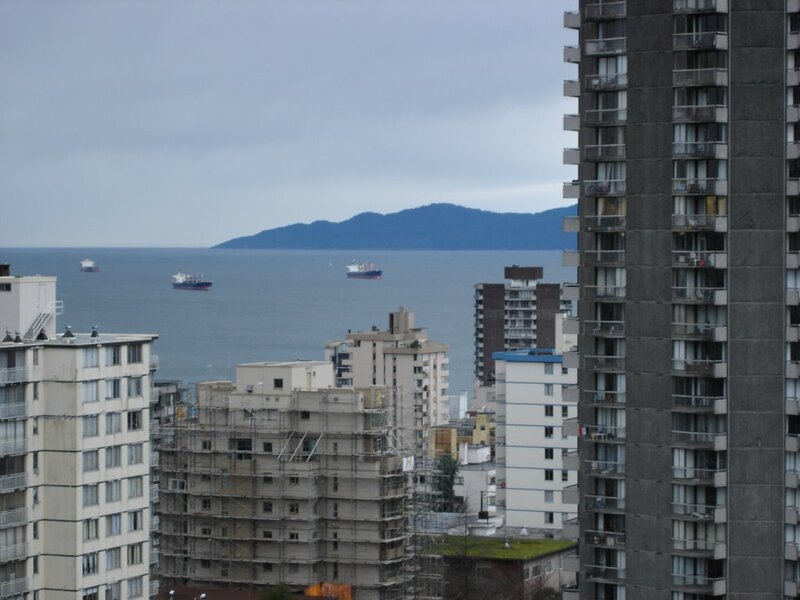 We checked in at the Sandman Suites on Davie Street, which is a high rise hotel on the West End of downtown. Each room has a kitchenette and a balcony, either with a sea or city view. It is surprisingly reasonable. 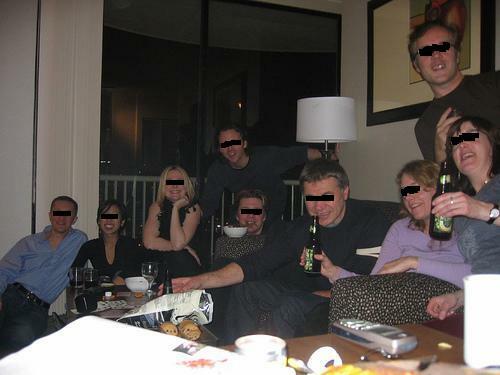 Once settled in we met Dag and Leslie who were also at the Sandman Suites. Lori and Paul would arrive the next day at the Fairmont Vancouver Hotel in the center of town. Rounding out our instant expatriate community were Jessica (Leslie’s sister) and Kenneth, staying in the Gastown neighborhood. Three days. Minimal daylight. It called for a frantic pace. At Stanley Park we visited the Vancouver Aquarium. There a Pacific white-sided dolphin named Spinnaker held court with popularity that befitted a local rock star. 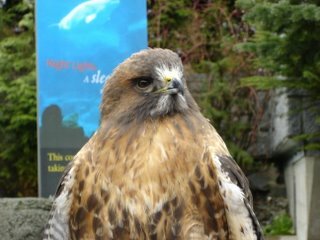 There was also a Red-tail hawk calm enough to view up close, a climate controlled Amazonian rain forest exhibit and dozens of tanks that recreated all types of marine environments. 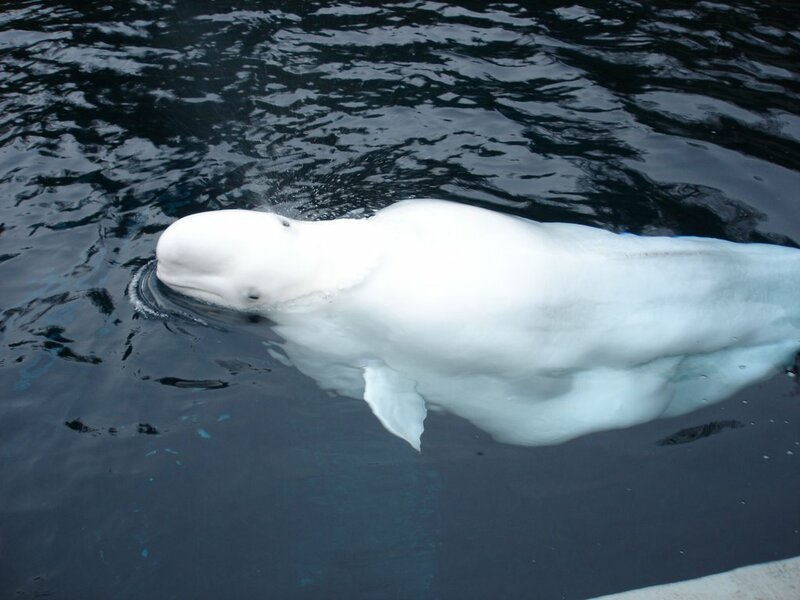 It was the Beluga whales from the Arctic, unearthly white and wise looking, who were the most impressive. From the aquarium we walked across the downtown of glass and steel to the old brick-built Gastown neighborhood, then on to Chinatown. 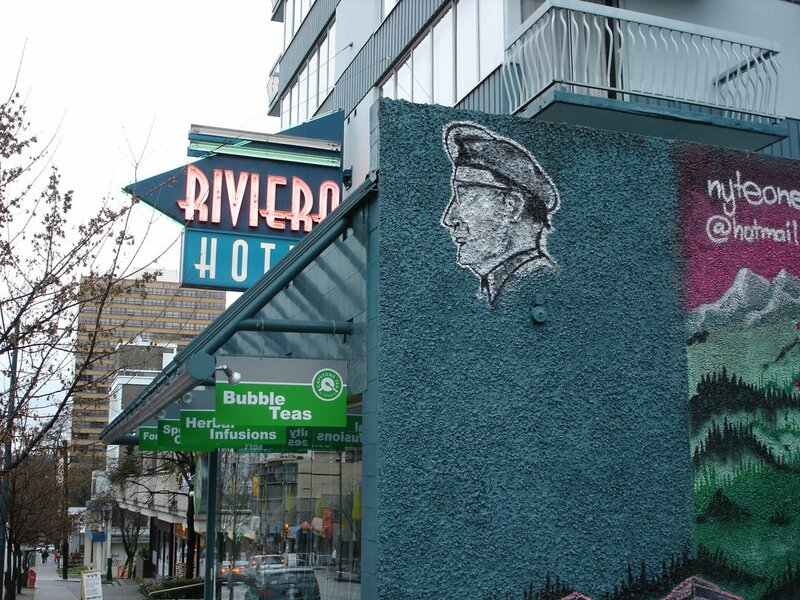 While not nearly as large as San Francisco’s or New York City’s, Vancouver’s Chinatown is alive in way that Portland’s can only aspire to. 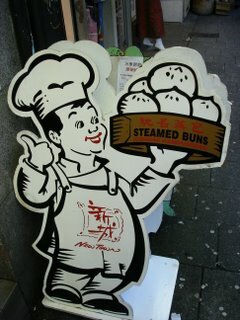 There were the expected restaurants and gift shops along with the Chinese markets that opened into the street selling fresh vegetables and dried herbs. It struck me that such markets are what Portland’s Chinatown is missing, that a market could do more to revitalize the neighborhood than any amount of street improvements. 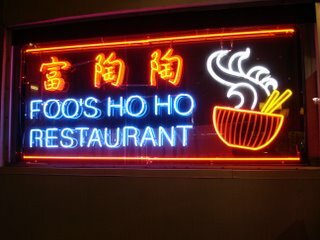 At Foo’s Ho Ho we all dined on squid, fishballs, Chinese cabbage and other delicacies. In the evening we had everyone over for drinks at our room, venturing out on the balcony to view the city for as long as we could handle the cold and wind. The next morning we met Lori, Paul and their son Nikolas at their room in the Fairmont Hotel Vancouver. 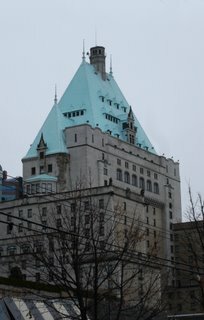 The historic palatial hotel, with its impressive green copper roof was built in the 1930s by the Canadian National and the Canadian Pacific Railroads in the Chateau style favored for the massive luxurious hotels the railroads built across Canada. At Sophie’s Cosmic Café on West 4th Avenue we partook in that most Northwestern ritual, the weekend breakfast. Excellent omelets, homefries and lots of coffee, it was hard to remember that we were not in a Portland neighborhood restaurant on Alberta or Belmont. We then went to Granville Island, an old former industrial area converted to a neighborhood with a large public market and an arts and crafts district. On the way back to the hotel we took a water taxi across False Creek to Downtown. The idea of water taxis has come up in Portland and this was a good example of how it could work. 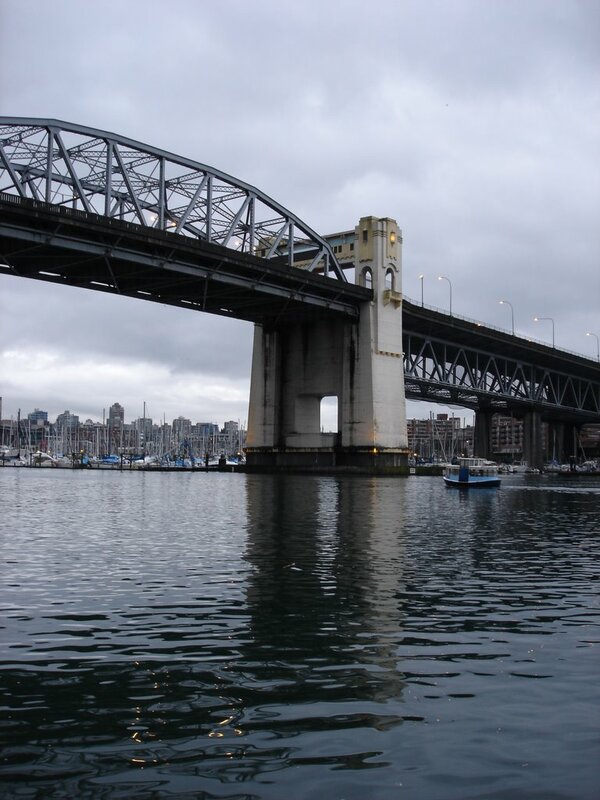 At False Creek, two high-activity areas are linked by the water taxis so that even in December the boats were full. It would be more challenging in Portland with most of the East Side cut off from the river by the freeway, but maybe, with more attractions in the Omsi area, the idea could succeed. It’s a nice way to get around. Crossing False Creek via water taxi. That night we were at a pub called the Atlantic Trap & Gill with Dag and Leslie. It was there that we tried Poutine. It was described on the menu as cheese curds. Travel being adventure, we ordered it. No one expected though the mountain of French fries, brown gravy and gooey steaming cheese that was set down on our table. We just stared at it. Perhaps there had been a mistake. “This is Poutine?” I asked after an awkward silence. Then he walked off, leaving us to contemplate its steep molten slopes. But it was actually pretty good in a heart attack-on-a-plate sort of way, and that wasn’t just the beer talking. We ate every bit of it. There are to be no New Years Eve gatherings in the Sandman Suites rooms. Thank you for your cooperation. The plan had been for everyone to meet at Leslie & Dag’s for the New Years Eve ritual..
the usual supects were gathered..
..and I am sure the authorities would be shocked, shocked to find out there might have been partys in the hotel that night. But it is not for me to say. Those large groups of people with drinks in their hands from the downstairs bar? Perhaps they were on the way to their rooms for a quiet nightcap. The shouting from the balconies as midnight approached? Surely it came from nearby buildings. The mini-bacchanals in the elevators? Exaggerated accounts. Those people running down the halls asking for their pictures to be taken? Isolated incidents. 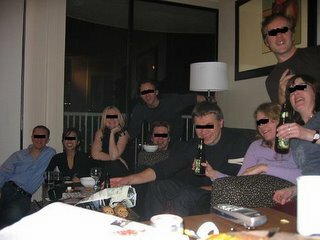 There could not have been partys in the hotel that night. They were not allowed. When we got up the next day the power was out in the entire neighborhood around Davie Street. Jill and I decided with a mix of hubris and ambition for the first run of the New Year that we would circle Stanley Park. As it turned out the entire circuit from the hotel around the park was seven miles. By the time we rounded Prospect Point at the Lions Gate Bridge we were running into a wall of wind. But Stanley Park is gorgeous in any weather and it was good to see the Totem Poles, the lighthouse and the Girl in a Wetsuit statue on a rock off the shore. Back at the hotel the power was still off. Haggard employees with flashlights were helping straggelers haul their baggage downstairs through the dark stairwells, suitcases thunking on each step. There was a weird disaster movie of aspect to the whole thing. No power also meant no water, and that meant no showers. Hours without lights and water passed. 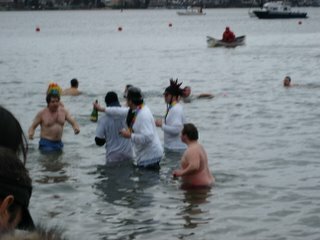 We walked down to Davie Street to English Beach to watch the local New Years Day ritual of the Polar Bear Swim. 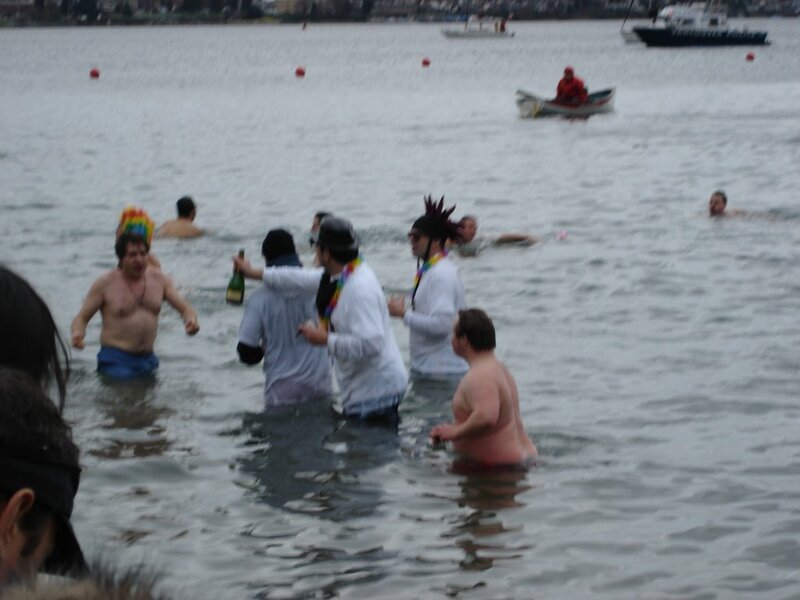 Thousands watched as hundreds, many in costumes dove into the frigid waters of English Bay. Horns blew, cameras clicked, people cheered and the shrieks of the anguished filled the air. Some stayed in for seconds, others settled in for a nice long soak while lifeguards on boats watched and waited a few yards out. I could almost have done it myself. I wish I had. After all, after a seven mile run I could have used the bath. And what better way to go native than to join the Polar Bears? I could have out localed the locals and joined their elite and their truly mad. It would have been a great adventure. It would have been a great way to end this story. After all, how bad could it be? Sadly I have to live with the fact that, on a scale with Poutine on one end and Polar Bearing on another, I am closer to Poutine. Red-tailed hawk at the Vancouver Aquarium. 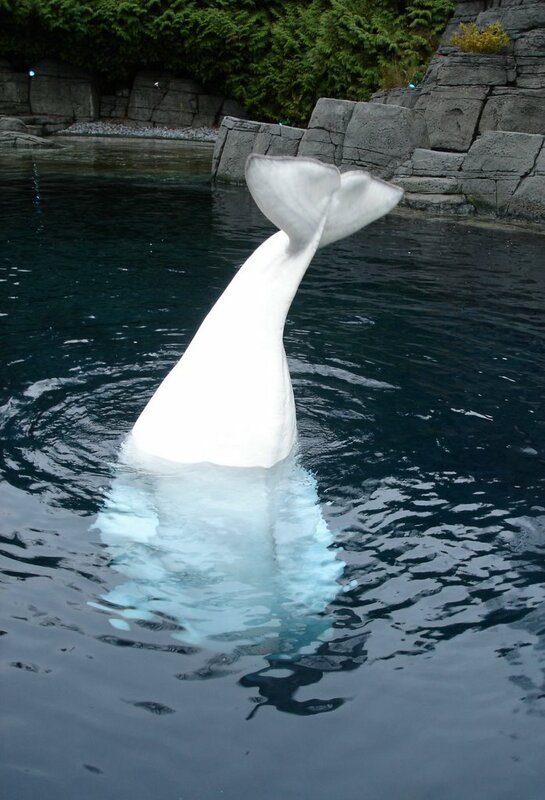 Beluga head stands. When in another land, always know where beer can be found. Dan, I really enjoyed your post! It made me laugh out loud more than once! I know Dan has read this, but for any other interested parties, here's my blog, which contains an account of the same trip!